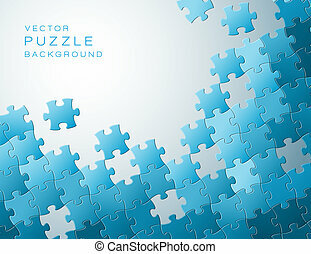 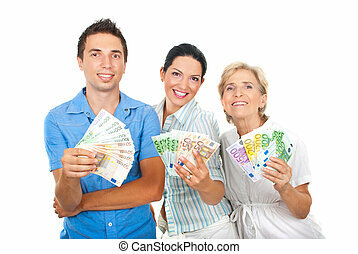 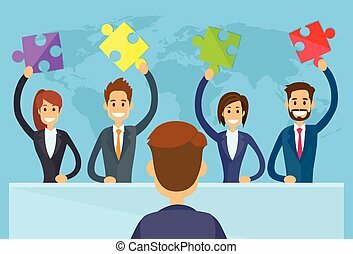 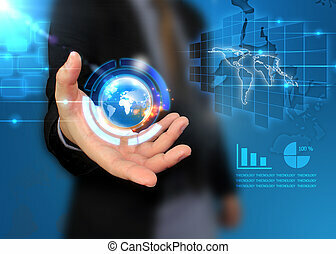 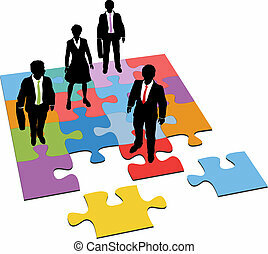 Business people team hold puzzle solution. 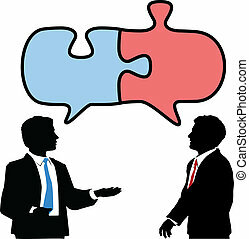 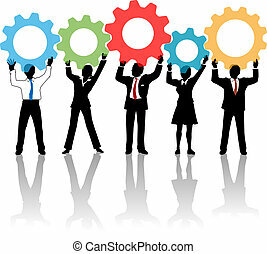 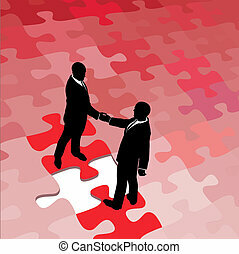 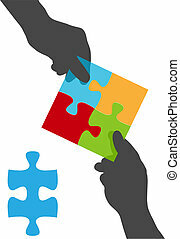 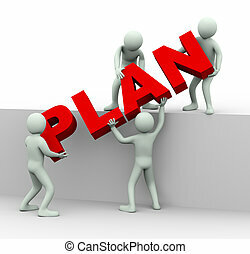 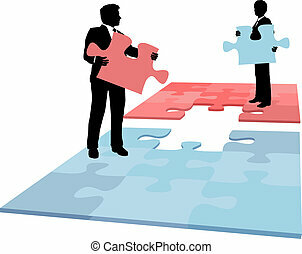 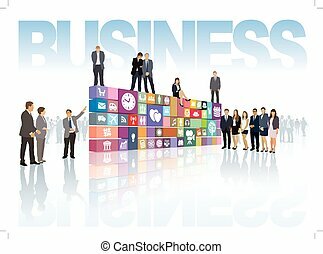 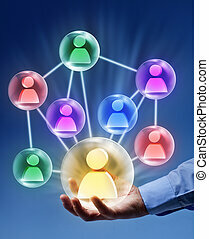 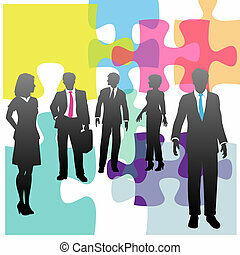 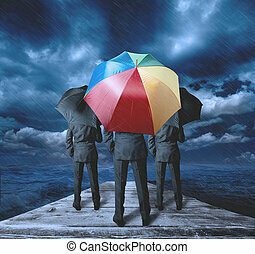 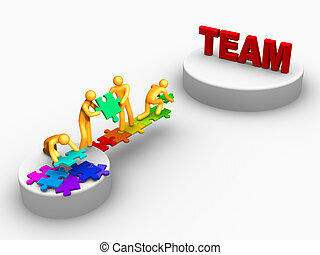 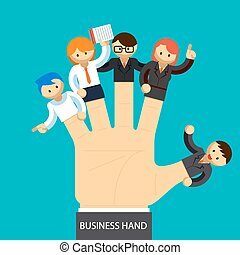 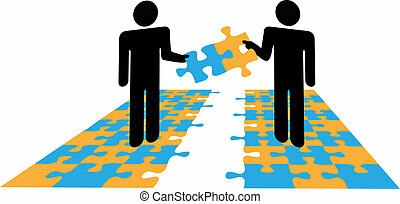 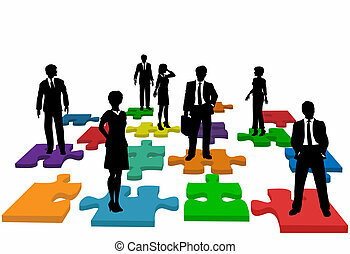 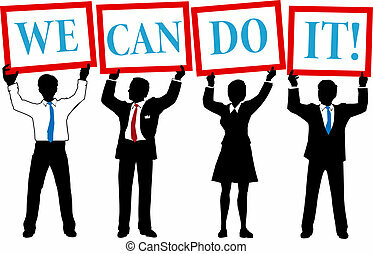 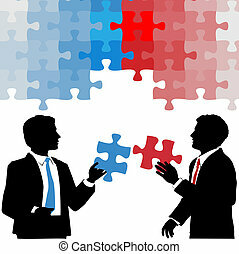 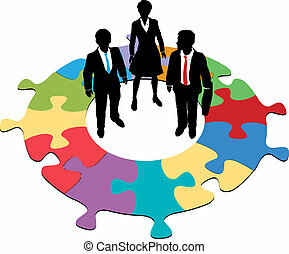 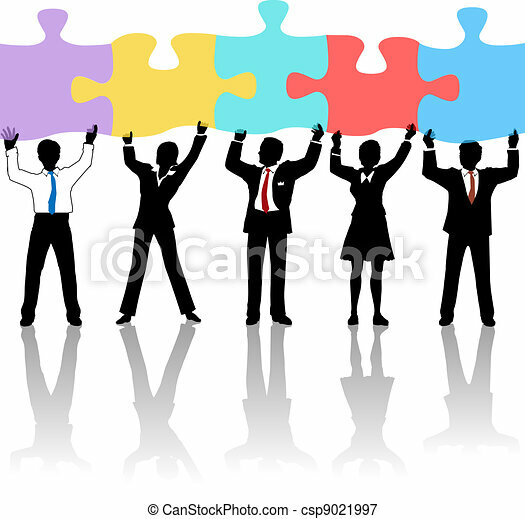 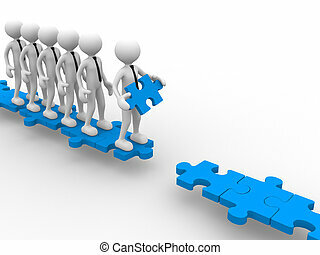 Team of business people collaborate holding up jigsaw puzzle pieces as a solution to a problem. 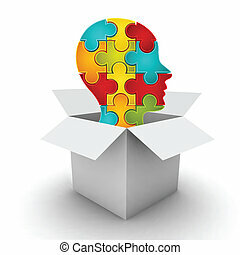 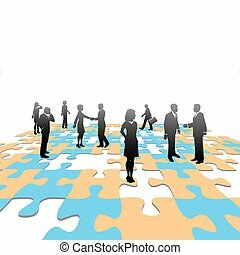 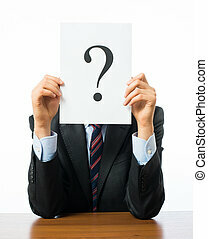 3d people - men, person and last piece of puzzle - jigsaw. 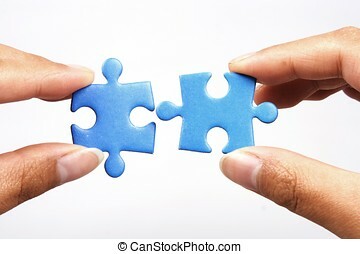 Hands holding two jigsaw puzlle for joining. 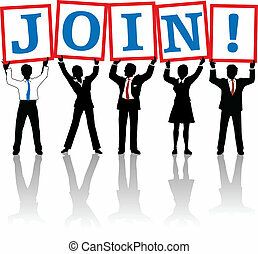 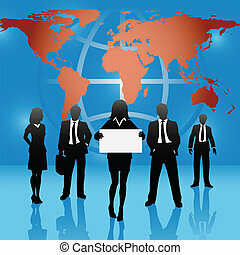 Woman on a team of international business people holds a sign.